Everyone needs to protect things, from their credit card pin number to the passwords to access our different email accounts. One of the major problems we can find is that we repeat the same password, which is really practical when it comes to remembering it, but can be a sever problem if someone somehow manages to get a hold of it. 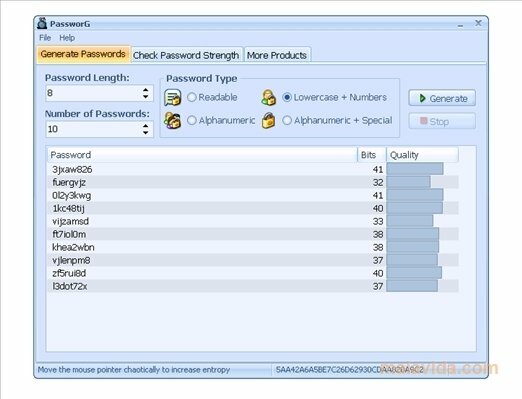 PassworG is an application that will allow us to generate all types of passwords, with the length of our choice, we will also be able to chose the difficulty of the password among four different variations (Readable, Lowercase + Numbers, Alphanumeric & Alphanumeric + Special), so that we can choose the password we like most for each need, and making it practically impossible for anyone to decipher them. 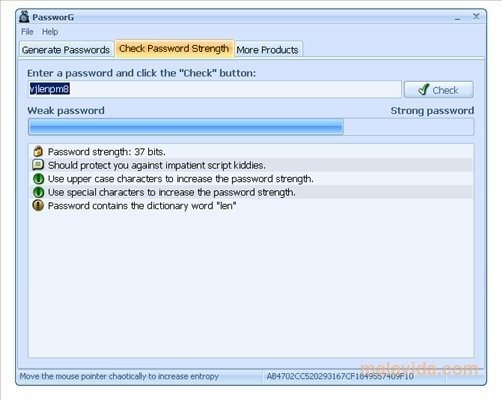 The application also includes a security "checker" for your current passwords, that will let us know the real strength that these passwords would have versus any attempt to decipher them. 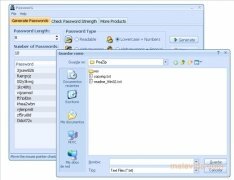 Make sure your passwords are secure with PassworG.